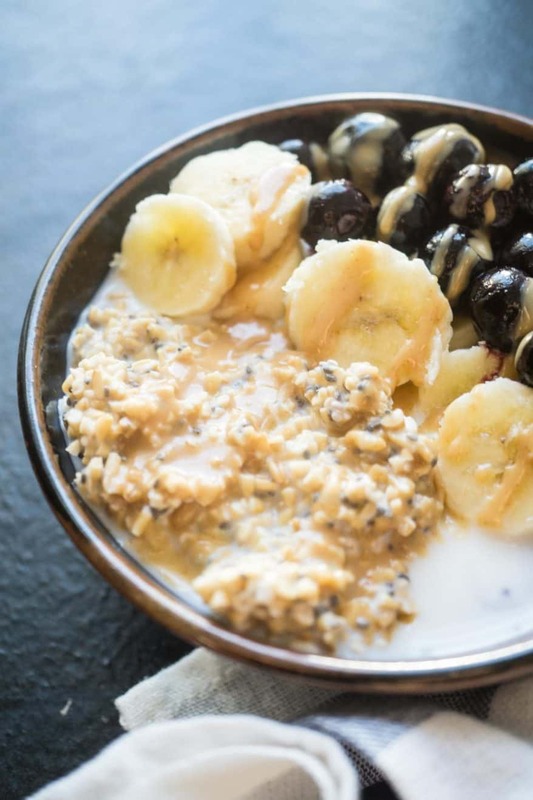 If you’ve enjoyed overnight oats the regular way, with rolled oats, then you NEED to give these overnight steel cut oats a try! 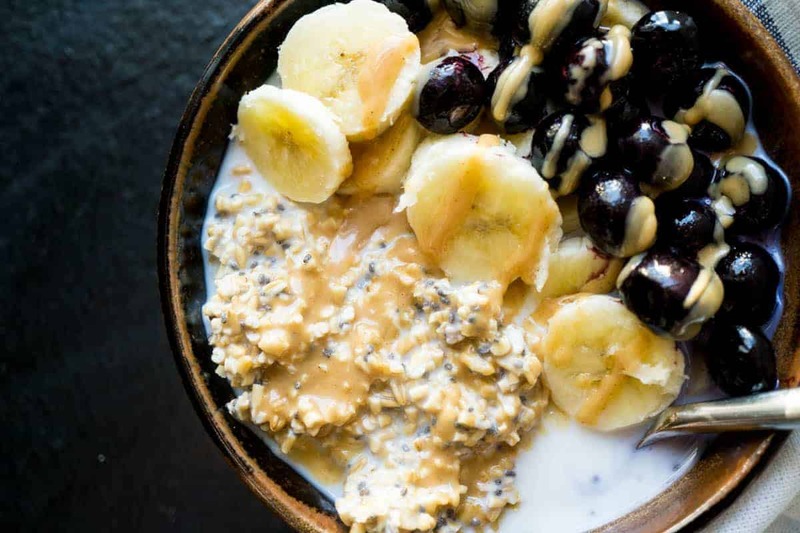 The tried and true recipe gets a twist with this different type of oats, resulting in a chewy, delicious overnight oats experience that changes up your expectations! Overnight oats are fairly popular, and with good reason: they’re delicious, nutritious, and super easy! Typically they’re made with rolled oats, which work really well to soak up the milk. I recently discovered just how delicious cooked oatmeal with steel cut oats is so I gave it a go and experimented with overnight steel cut oats! They did not disappoint! I was concerned it would be a near disaster, but far from it! Unlike using rolled oats, these don’t absorb all the liquid. The oats are softened but maintain their characteristic chewiness. They’re completely unlike rolled overnight oats, so don’t expect the same old results! That’s not to say they aren’t delicious…. it’s just a whole different ballgame! You can eat them cold or heat them up in the microwave; whatever cranks your tractor. Stir in the chia seeds and then, my recommendation is to top with toasted nuts and fresh fruit! Sometimes it’s just nice to switch it up from the everyday, you know? 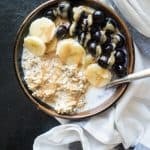 Other oat recipes you might be interested in! Stir together the steel cut oats, milk, and maple syrup. Place in fridge to soak overnight. In the morning, stir in chia seeds. Top with fruit and nut butter, as desired. Looking forward to making this this week. Do you prefer it cold or hot? I’ve only ever made it cold!